A sweet blend of natural mastic and shea butter for face and body. 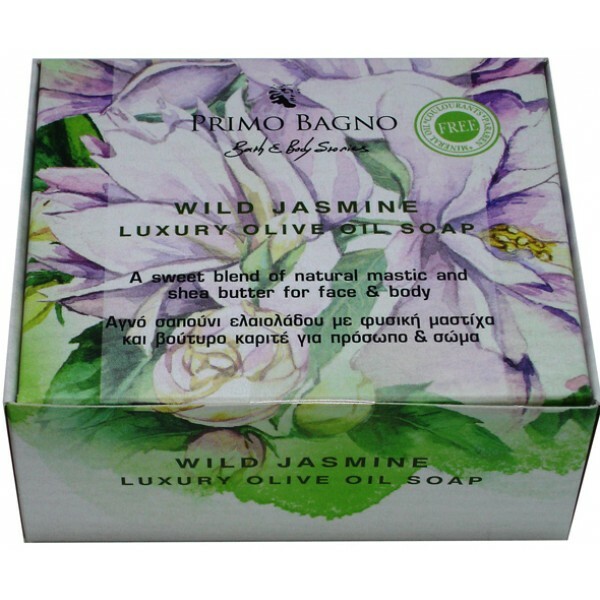 The unique properties of the ingredients of pure Primo Bagno Wild Jasmine soap from natural mastic, shea butter, panthenol, vitamin E and aloe vera extract offer deep and rich hydration, enhance the collagen composition, keep the skin elastic and youthful, giving glow to face and body. Ideal for mixed/oily skins.